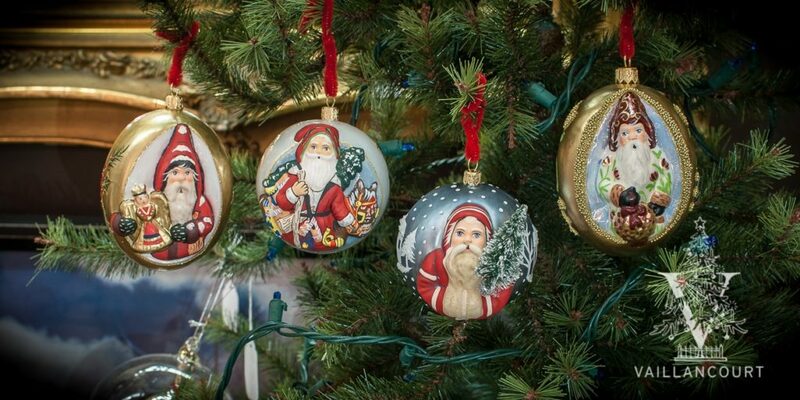 Vaillancourt Folk Art is one of the last remaining Made in America Christmas manufactures. Founded in 1984, VFA has become a household name to collectors and Christmas enthusiasts around the world because of their highly detailed, hand-painted, Chalkware figurines. From the largest private collection of vintage confectionery molds dating as early as the mid-1800s, the contemporary chalkware style—first developed by Judi Vaillancourt—pays homage to the early Victorian decorative art form and is done in a small studio in Central Massachusetts. They operate with the goal of starting traditions by creating that one special gift that will be handed down throughout generations.